Samsung DeX offers the best of both worlds when it comes to mobile productivity by enabling Samsung’s latest flagship Galaxy mobile devices to power a PC-like experience that’s ideal for getting work done on the go, or simply watching movies, gaming, or browsing the web on a bigger screen. Developers, especially, appreciate the seamless mobility that Samsung DeX brings to their work. And now, with the new Linux on DeX app, Samsung is making it even easier for developers to code on the go. When it was first demoed at last year’s Samsung Developer Conference in San Francisco, Linux on DeX generated significant buzz within the developer community by presenting a simple and convenient way to use Samsung DeX to build apps within a Linux development environment. The combination of Samsung DeX and the Linux on DeX app adds new levels of flexibility to developers’ work by allowing them to connect their Galaxy device to a monitor using just an HDMI adapter, and instantly enjoy a fuller computing experience when on the go. Linux on DeX frees developers from their desks by allowing them to access a PC-like Linux development environment anytime, anywhere. The app enables them to work on both Android and Ubuntu-based Linux distributions. Samsung provides a modified version of Ubuntu for Linux on DeX users, and has been working closely with Canonical, the company behind Ubuntu, to provide the best experience. SDC18 attendees observe a Linux on DeX demonstration at its booth. After testing the app on-site at the event, SDC18 attendee Ericka Jackson said she was impressed by the level of flexibility that Linux on DeX provides. Linux on DeX will be available as a private beta beginning on November 12. Users who are interested in joining the beta program may register here starting on November 7. 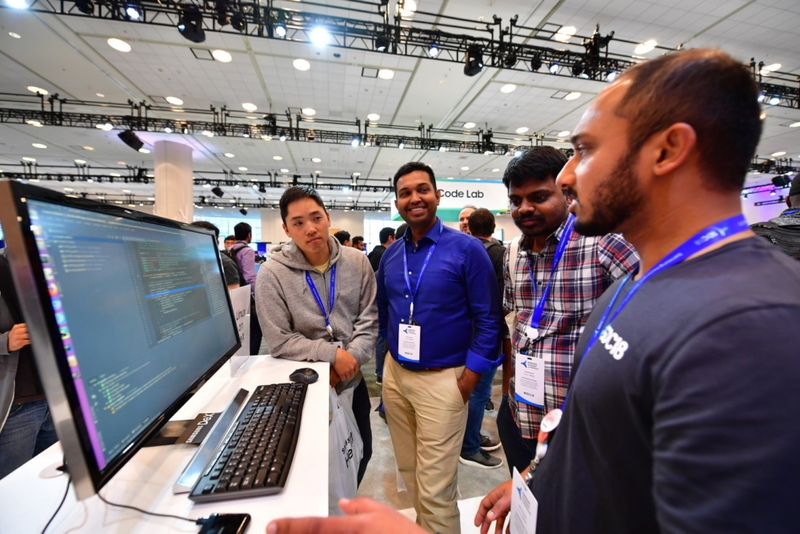 For more information on Samsung’s latest developer innovations, including exciting new tools and SDKs, check out Samsung Newsroom’s complete SDC18 coverage, linked here. *The Linux on DeX beta is currently available to Galaxy Note9 and Galaxy Tab S4 users running Android Oreo and above. [Editorial] SDC18: What Does the Future Hold for Mobile Gaming?